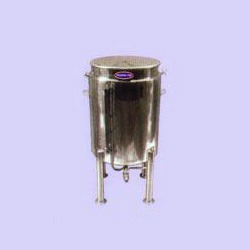 Available Size: 10 Liters To 10000 Litres Capacity. Jacket Material: M.S. / S.S. 304. 4 No. Leg Support / Skirt For Smaller Capacity. P.U. Wheel For Smaller Capacity. Manufactured As Per Client Design / Requirement. Evolved in 2015 from old PHARMA FAB MACHINERY, Since 1985, PHARMA MECH MACHINERIES provides quality collection of Machineries and Spares of Pharmaceutical, Chemical, Drug, Food, Cosmetic & Allied Industries.